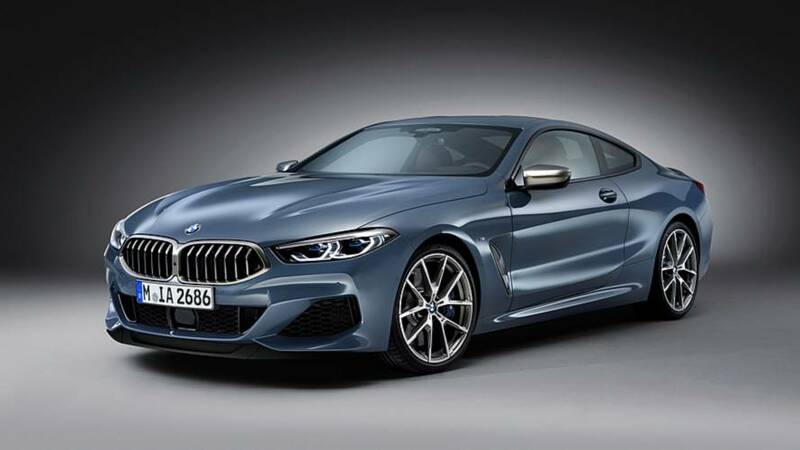 The BMW 8 Series departed nearly two decades ago and enthusiasts have long since called for its return. We got some face time with the Concept 8 Series to see what the production will probably end up looking like. It’s a handsome, sculpture-like car with bold rear haunches and long bonnet, a departure from BMW designs of the recent past. Exterior designer John Buckingham said: 'Instead of having a traditional three-box shape, which a BMW would normally have, you have a very strong hood and then the roof itself is one sweep'. Flowing lines give it an elegance that some of its more chiseled siblings lack. While it takes a pass on some traditional BMW design hallmarks, it emphasises others: the famous Hofmeister kink and kidney-shaped grilles, for example, are far larger on the Concept 8 Series than they are on any other car in the line-up. The interior features a few fanciful details that are unlikely to make it to production. An ornate steering wheel and crystal gear selector probably won't make the cut, but the fact that the rest of the cabin is rather sensible for a concept car bodes well for the finished article. 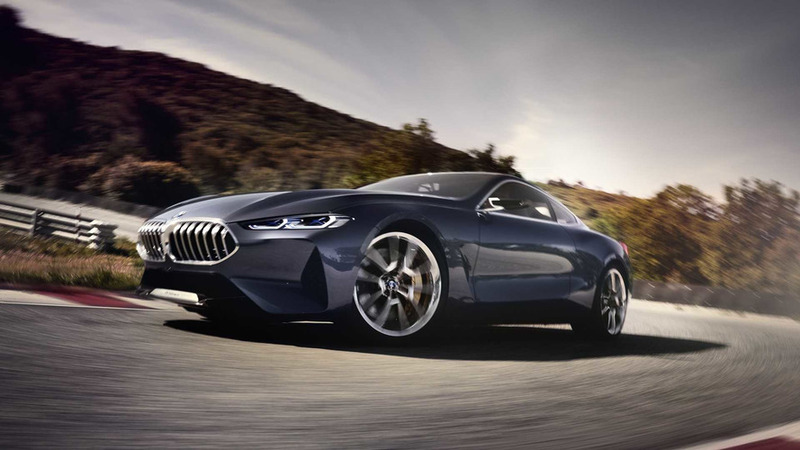 It is said that the new 8 Series can seat four adults, something some of its closest competitors struggle to do. We don’t yet know what the engine range will consist of, but this platform is able to take anything from a paltry 2.0-litre unit up to a full-fat twin-turbocharged 6.6-litre V12 motor. The concept car sounded suspiciously like a current generation M6 though. 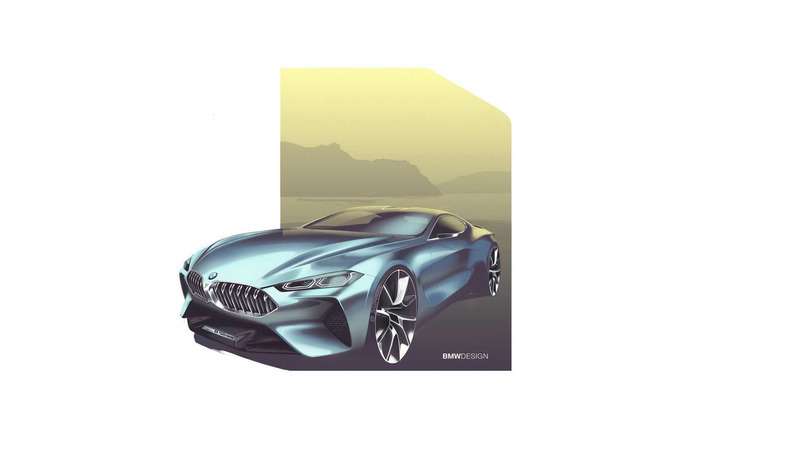 The BMW 8 Series Concept was officially revealed at the 2017 Concorso d’Eleganza Villa d’Este. Based on beautiful Lake Como in Italy, this event sees some of the world's most beautiful machines come together. Even amongst legendary cars, the concept coupe turned heads.